BabelMap is a character map application that allows you to browse through the entire Unicode character repertoire of over 110,000 characters, or search for a particular character by name or by code point. Characters can then be copied to the clipboard for use in any Unicode-aware application. 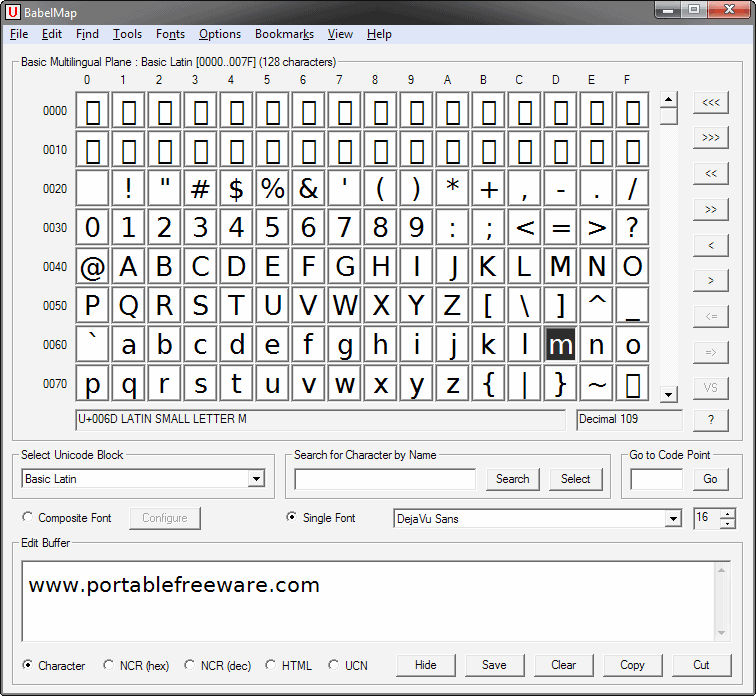 BabelMap Portable is a version of the software packaged in PortableApps.com format. How to extract: Download the self-extracting EXE and extract to a folder of your choice. Launch BabelMapPortable.exe. :) It Worked fine 4me and a useful program that allows me to get characters I otherwise would not be able to use.Thanks for your hard work. wrong link for download:"Referrer Blocking"